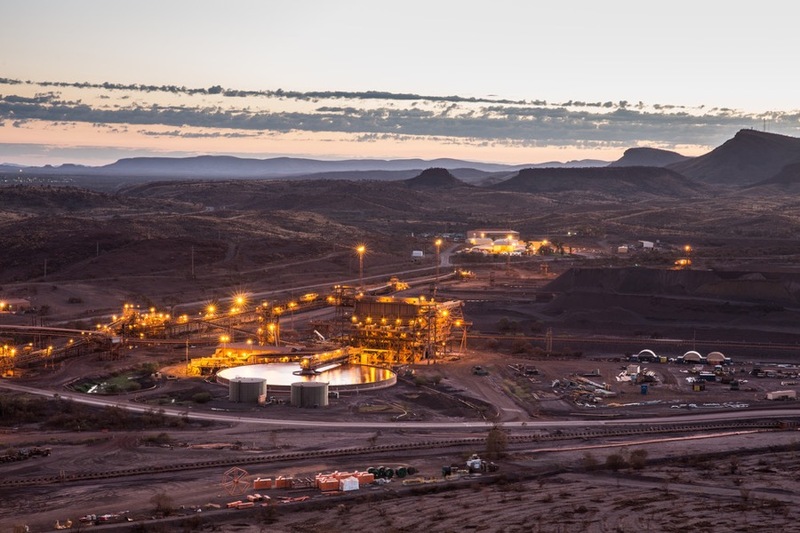 Rio Tinto (ASX, LON:RIO), the world’s second largest miner, delivered strong signs of a long-awaited turnaround in the industry by posting its first gain in annual profit since 2013. Higher iron ore prices boosted Rio’s profit 12% to $5.1 billion last year, a significant turnaround from 2015, when it posted its worst underlying earnings in 11 years. The company, which is also the world’s No. 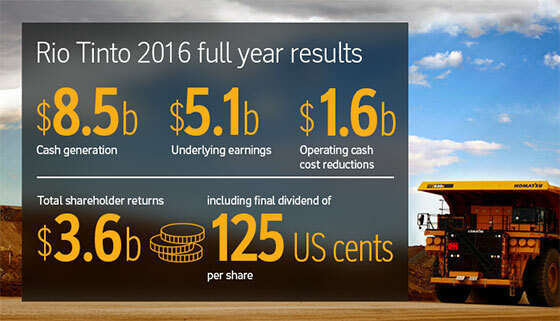 2 iron producer, said it will pay a bigger-than-expected annual dividend of $1.70 per share and announced a $500-million buyback, taking shareholder returns to about 70% of underlying earnings. An unexpected, but welcome rally in iron ore prices, which surged 81% in 2016, lifted underlying profit 12% to $5.1 billion for the year, significantly higher than the $4.75bn analysts had predicted. The positive figures were also boosted by Rio’s cost-cutting measures and assets sale, including the $1.3 billion it fetched after offloading several assets, mainly in the coal and aluminum sector. Prices for iron ore, which accounts for almost 90% of Rio's earnings, are near a two-year high, trading Wednesday at $83.53 a tonne, according to the Metal Bulletin Index. Analysts have warned the steel-making ingredient’s rally is not sustainable as supply coming from recently opened mines, such as Roy Hill in Australia, as well as Anglo American’s Minas Rio and Vale’s S11D in Brazil, will tip the balance, with output surpassing demand and dragging prices down. But Jacques shrugged those concerns off by noting that the property and construction market was “doing pretty well” and that said a greater threat was China restarting more of its own iron ore mines, which would cut its requirements for imports. But he quickly noted that, for now, that is not "a big issue" for producers. There are clear signs, however, of an imminent drop in demand from China, inventories at local ports hit a record last week and shipments from Australia’s Port Hedland reached an all-time high of 37.4 million tonnes last month.